Every once in a while we get a sign that the weather around the planet is changing, and not for the good. 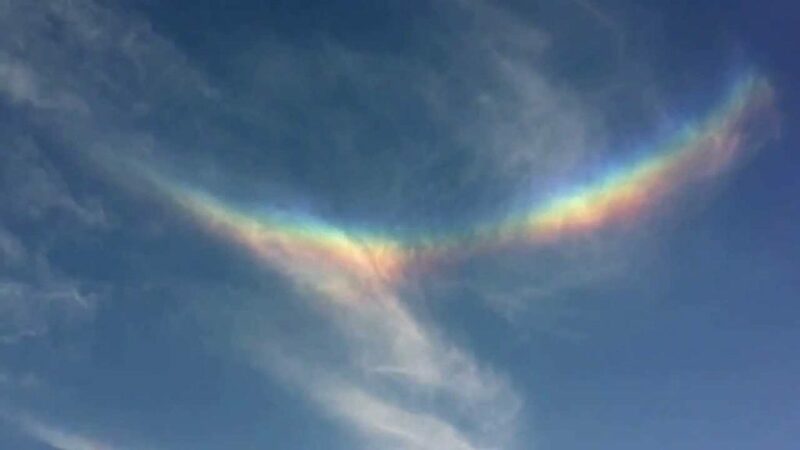 This kind of rainbow needs very specific conditions to form, similar to those in the North Pole, and it appeared above Britain. Rainbows are formed in a very simple way (details), when light goes through a raindrop for example and goes out the other side, but this other kind of rainbow requires something else to form; it forms when sunlight bounces off ice crystals high in the atmosphere, which sends the sun rays back up. This smiley face in the sky is something few people have ever seen, and even in remote and wild places, let alone in the heart of European civilisation. The picture was captured by astronomer Dr Jacqueline Mitton from her house near Cambridge. Here is what she had to say.